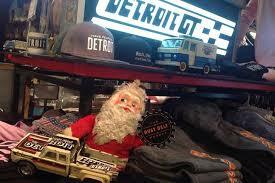 Handmade Detroit | Santa’s envy, the Detroit GT Thread Sled! Santa’s envy, the Detroit GT Thread Sled! In 2010 Ferndale resident Christopher Gorski had a really good idea. It took some really distinctive design work and illustrations, a sharp advertising approach and a Super cool snack truck to all come together! 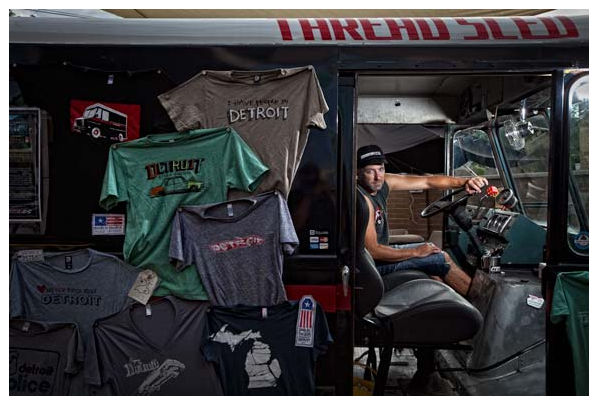 Chris named his first “Thread Sled” Leo and after a stint in the shop, started cruising and selling his designs all over metro Detroit. Almost 5 years later and hundreds of popular shirts, undies, and Hoodie designs later, he’s added even more vehicles to his displays where his line is sold. Our long-time DUCF supporter and vendor is an official sponsor this year and we couldn’t be more thrilled. Don’t miss seeing Chris in sponsor row at this year’s show, and shop Detroit GT year round at his home base, The Rust Belt Market!